In this intriguing collection of old images of Haslemere and Hindhead, the past is evocatively recreated in over 200 photographs and postcards, many of which will not have been seen before. 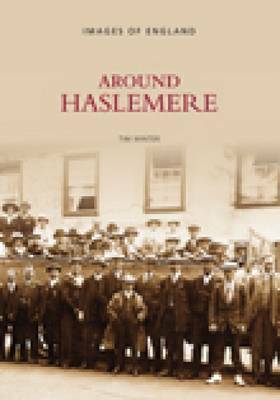 This book gives an insight into the everyday life in and around Haslemere and Hindhead as it would have been over the last two centuries. The reader is taken on a tour around the area, meeting shopkeepers and people going about their daily business in the ever-changing High Street, which has also been witness to many important historial events, celebrations and gatherings. Each image in accompanied by supporting text providing a wealth of local colour and historical detail. The collection will provide older residents of the area with a nostalgic look into the past, and bring to newcomers an opportunity to learn of the changes and events which have shaped the area in which they live today.